They say the simple things in life are often the best and it doesn’t come simpler than this. The iPlunge stand suctions onto the back of your iPhone or iPod, propping it at the perfect angle for easy, hands-free viewing of videos – so the kids can happily watch Kideos and keep their mitts off your hardware! Priced at just US$5.99, this is one gadget you can probably afford to take the plunge on however the iPlunge is not available internationally at this stage – we will keep you posted. 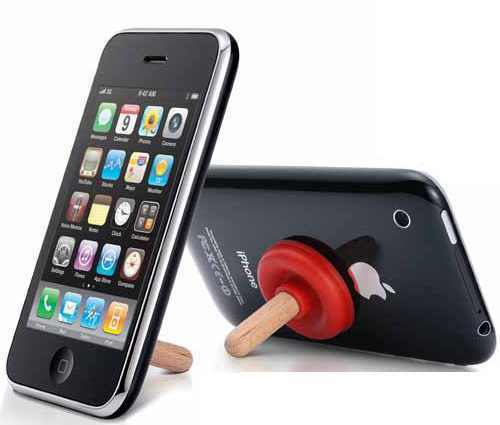 More iPhone gadgets can be found here.